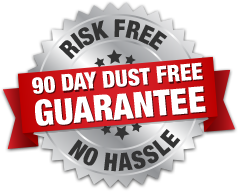 technicians, and a 90-day dust-free guarantee. Sterling Heights, MI's Source for Air Duct, Dryer Vent, Mattress, & Chimney Cleaning. With over 20 years of experience in the industry, Power Vac is Michigan’s most trusted family owned and operated air duct cleaning company. The founders, Keith and April Meadows, are always available to ensure a good experience - before, during and after your cleaning. We understand every family can benefit from a thorough cleaning. From eliminating constant dust issues, to helping alleviate allergies and asthma, we keep our prices low so everyone can afford to benefit from having their ductwork cleaned professionally. We are not interested in being the largest company around, we want to be the best. It’s no wonder why we have been voted Michigan’s most trusted air duct cleaner year after year! Contact us today to get a fast, free phone estimate for all your duct, vent, mattress, and chimney cleaning needs! The difference this has made in the air quality of our home is amazing! They were professioal, courteous, and they go above and beyond - they do great work. They also have very reasonable prices. I highly recommend them to anyone! Jennifer B.